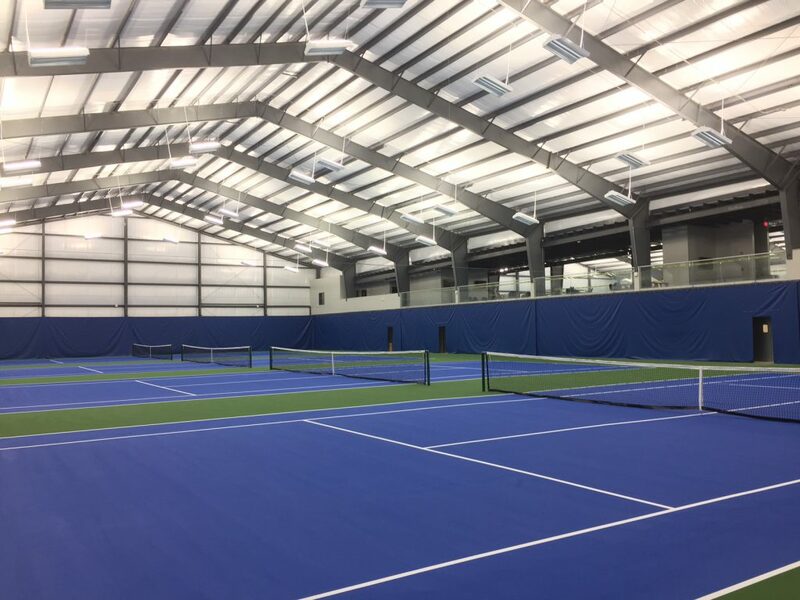 The Pearson Automotive Tennis Club in Zionsville, IN opened recently in February 2017 with eight tennis courts, guest lounge, viewing platform, and locker rooms. It is the first such complex built in the Indianapolis area in 25 years. LSI provided (96) SXS2 LED Indirect fixtures for the facility, which produce over 100 average foot-candles of glare-free illumination. The lighting system is also very efficient which will help reduce the new club’s annual energy cost.